Opening the doors to the unique guestrooms will immediately launch you into a world of “manga.” The rooms have been designed based on a playful theme typical of Japan, and they are sure to give you a chuckle. 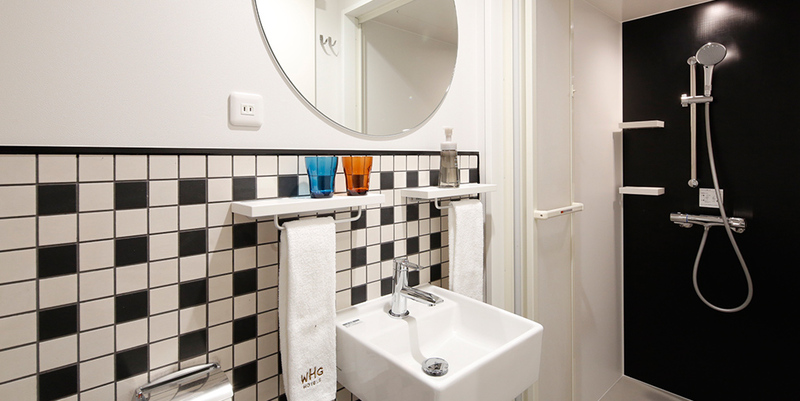 All rooms are equipped with shower booths. Although compact, the booths are large enough to provide stress-free showers. 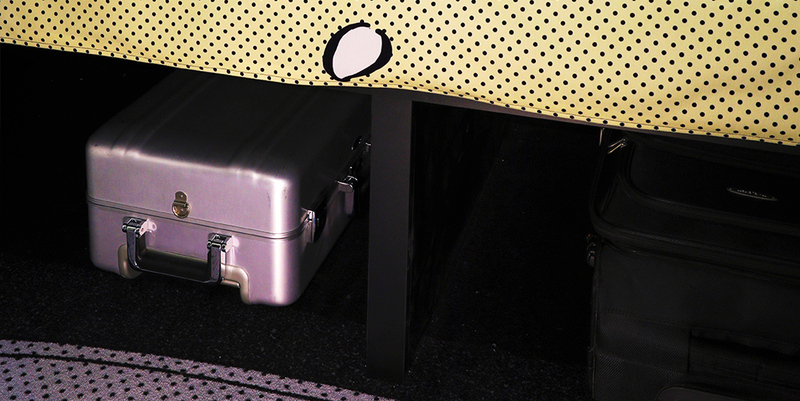 Under-bed storage space is available with sufficient capacity to easily store large suitcases and travel bags to ensure that you can make the best use of the space available in your room.